Safestore Self Storage Alexandra Palace is on Alexandra Palace Way (400m from the Palace) close to Priory Road (A504). Buses 144 or W3 go to Priory Road near the store. We offer you simple storage solutions from a friendly, expert team who aim to give you the best experience possible. We have a range of short and long term room sizes from small lockers to large units. So if you’re looking for business, household, student or archive storage in north London; Crouch End, Muswell or Hornsey, Safestore Alexandra Palace is well located for you. We're also conveniently located for those in Romford, Eastham and Stratford who are looking for storage. Get in touch with us today for a quote. We have a range of storage solutions at Alexandra Palace Safestore, whether you are moving house or just need some space to store your things. Use our storage size tool to help you decide what you need. 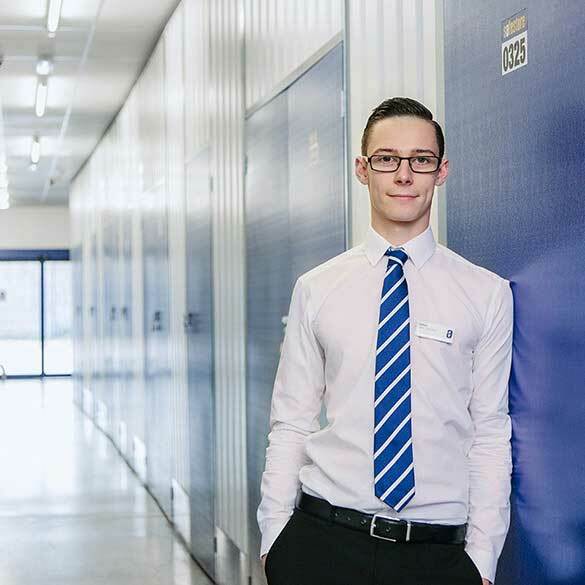 Get 50% off storage for up to 8 weeks at Safestore Alexandra Palace with no minimum stay. Offer available at all UK Safestore centres. Get a storage quote at Safestore Alexandra Palace today and reserve a unit for free. When you move in we won't need a security deposit either. Get 20% off at Safestore Alexandra Palace if you agree a stay for longer than 12 months. Terms apply. The Men & Van company has worked in removals for fifteen years and the team has thirty years' experience collectively. We are well regarded in our community and have fostered excellent relations with our customers across all aspects of removals.